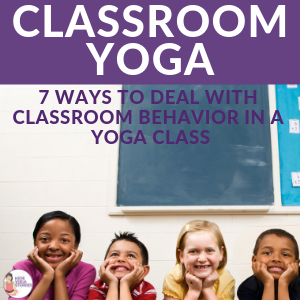 One of the challenges that we face is how to effectively and kindly manage behaviors in our yoga classrooms. 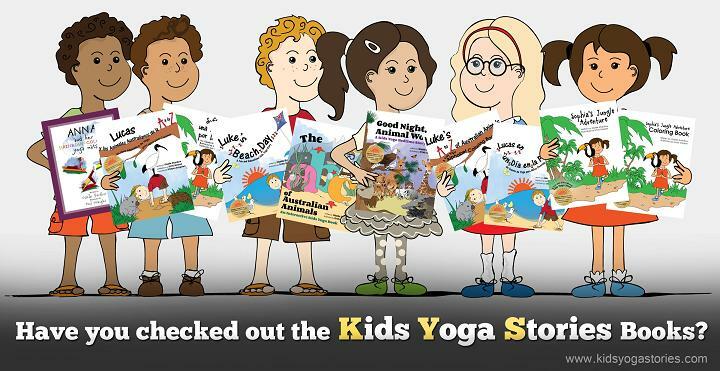 Children come to yoga classes with all kinds of needs, interests, abilities, temperaments, and behaviors. It’s up to us to create a safe, organized, and calm environment for the children, and that can be a difficult endeavor at times. Maia has offered to share her experience as a kids yoga teacher in schools. Teaching kids is so calming and fun, right? You must be so chill and relaxed all day! Sorry, it’s not always that easy and fun. In my five years of teaching kids yoga in a public school full time, I’ve experienced a TON of not-chill and not-relaxing moments. I’ve dealt with some pretty big and extreme behaviors. Yoga mat thrown out the window? Yeah, not chill. But remarkably, since learning how to respond to behaviors like this and figuring out what to do instead of freaking out, I have grown so much as a teacher. Since that day when the yoga mat went out the window, I’ve done a lot to help prevent big behaviors. Also, even when big things happen and emotions get crazy, I have a better idea of how to respond and resolve these issues in as calmly as possible. 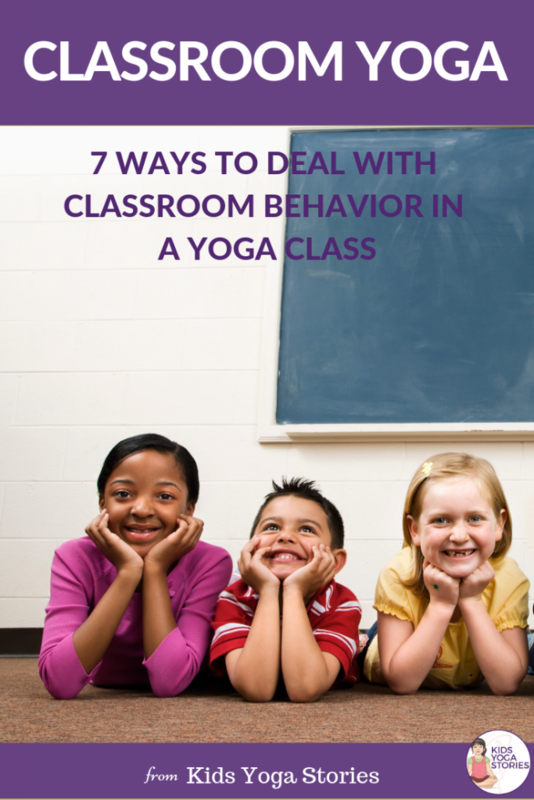 Here are 7 ways you can help prevent and resolve unwanted behaviors in the yoga classroom. Make sure you’re ready to start teaching. Don’t rush in without making sure you’re in the right headspace. If you don’t have time to do some yoga or meditation on your own, at least take some deep breaths, close your eyes, and remind yourself why you are there. The first few times you go over rules and expectations, you should tell your students how to fulfill each rule (stay on your mat to stay safe, use nice words to be kind, etc.) It’s also important to share why each rule is important. We stay in our own space so we don’t get hurt. We raise hand to share so that everyone has chance to listen and be heard. Model following the rules and expectations yourself. Make sure you are looking at and listening to the speaker if it isn’t you. Model asking to share space with a student if you are helping in a pose. Say you’re sorry if you make a mistake. Also, model the expectations for routines. If you are telling them how to do a whole yoga sequence, show what it looks like and how it feels when you do it the right way. 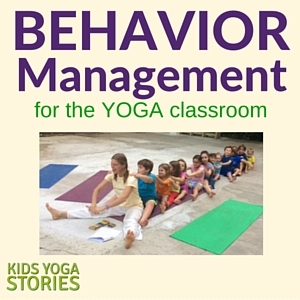 Interactive Modeling is a whole behavior management technique for teaching kids routines in classrooms, and it works so well when modified for a yoga class. Reinforcing language is the technique of naming expected behaviors and pointing them out in a way that provides positive feedback. When you see kids following the expectations, don’t just say “good job!” or “I’m so proud of you!” That’s too vague and puts the perceived value of your approval into the motivation behind the good behavior. Instead, use specific, concise, and neutral language to reinforce positive behaviors. This type of positive reinforcement not only reminds kids of the expected behaviors, but can also provide the WHY. Additionally, it gives other kids who may not be doing the right thing the chance to remember what to do on their own and make a better choice without interference. Responsive Classroom has so many great tips for Reinforcing language (plus Reminding and Redirecting). 6 | Vary Your Tone—and Pay Attention to It! This technique works really well for me when I feel like I’m losing a bit of control in the class or starting to feel frustrated. I take a couple deep breaths and pretend I’m in a movie or telling a really great story. I talk in more varied pitch while giving directions, and I start to make everything I’m saying sound really exciting. That gets kids’ attention, it gives me a chance to keep going without sounding upset, and it sometimes makes us all start laughing (which is a great way to avoid big breakdowns). Alternatively, if I need to get their attention in a serious way, I slow down my sentences and talk in a much lower and quieter voice. This is another great way to help prevent myself from sounding frenzied and upset. When I sound calm, it helps remind me to stay calm, and it can also calm down other kids are starting to feel anxious about the behavior surrounding them. If someone is unsafe, they sit out for 2 minutes. Every time. If they blurt out after two reminders, they take a break. Unkind words deserve an apology or another way to mend the harm. Set these up and have them ready before you start so that you know what to do if things go awry. Tell the kids the consequence for the broken rule (or have them help you decide what the consequence should be). When they know what will happen, it helps prevent issues in the first place. Teaching kids is hard. 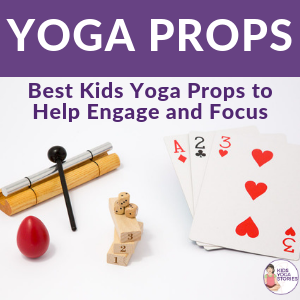 Teaching yoga to kids can be fun and chill, but also very hard. It’s important to be a calm steady presence in the face of any challenge, and even more so when working with kids. So, get out there and teach! Be grounded, be clear, and provide examples and consistency. Most importantly, have fun! 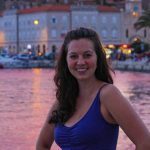 Maia is a fifth-year movement teacher at Hiawatha Leadership Academy in Minneapolis, MN. She has been teaching yoga, mindfulness, and movement full time to kids for over six years. She has trained in Yoga Calm, Little Lotus, Super Stretch, Street Yoga, Baptiste, and Mindful Schools. 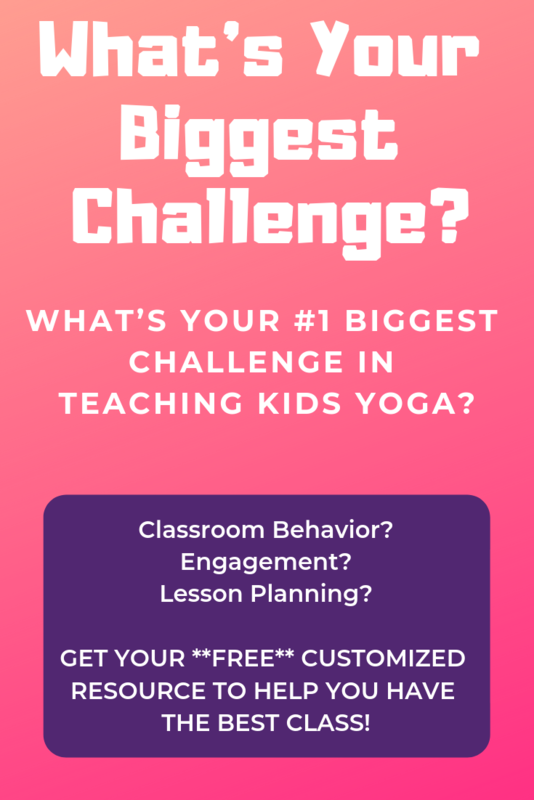 Want a Customized Resource to Powerfully Teach Yoga to Kids? Click here to get your resource today!